Fencing for Dogs or a good Dog Fence is vital to the safety and well being of your canine friend. Dog Fencing will ensure that your dog stays protected and within the bounds of his home or property. 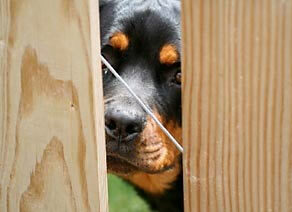 This section will show a selection of safe Dog Fencing Products for your home or property that you can order today.